If you take a walk through the middle of Central Park, you may find yourself at a whimsical miniature castle called ‘Belvedere’, that also serves as a weather station. ‘Belvedere’ means ‘beautiful view’ in Italian and set high on Vista Rock, this citadel provides captivating views of the park and New York cityscape. Belvedere Castle’s strong stone façade and grand turret combines function, form and romance, but the architecture is also a reflection of many beautiful stone bridges and iconic arches in Central Park. 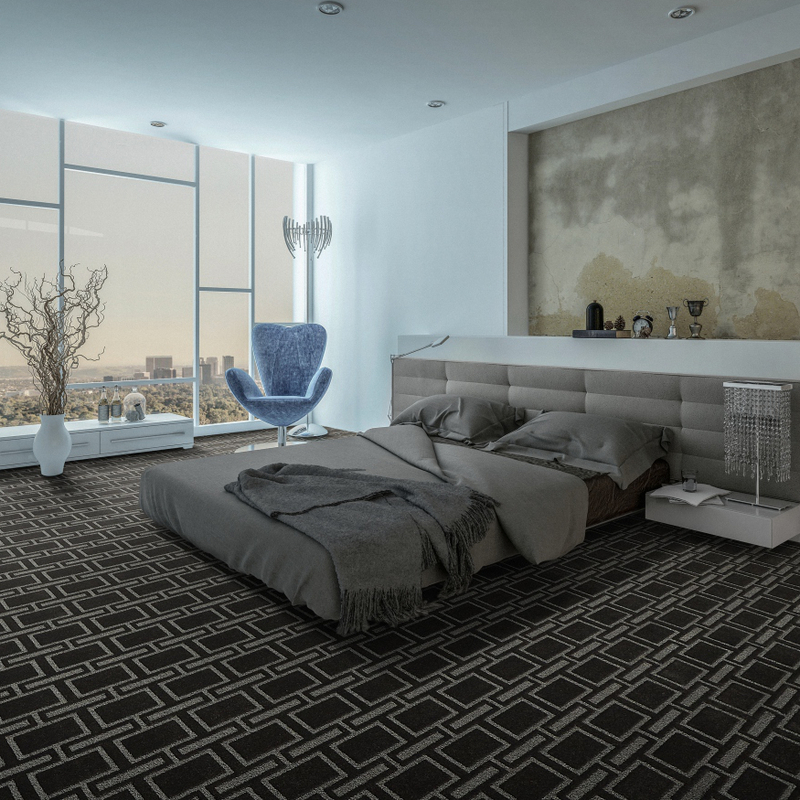 And it is this blend of practicality and beauty that is the basis for the BELVEDERE range from Belgotex Floors, a striking stone-textured patterned carpet reminiscent of the old facades of Central Park. Durable, affordable, easy to maintain and available in four superior SDX cut-pile selections. The BELVEDERE range is the ideal stepping stone into the perfect new look for your next commercial carpet installation.